1. Identify, validate, and prioritize requirements for language skills, regional expertise, and cultural capabilities, and generate accurate demand signals in support of DoD missions. 2. 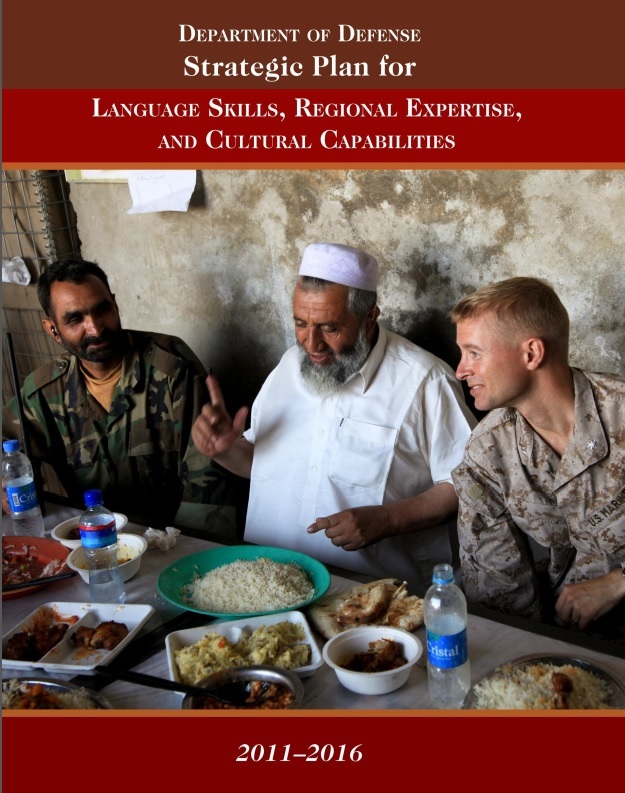 Build, enhance, and sustain a Total Force with a mix of language skills, regional expertise, and cultural capabilities to meet existing and emerging needs in support of national security objectives. 3. Strengthen language skills, regional expertise, and cultural capabilities to increase interoperability and to build partner capacity. The Implementation Plan for this strategy establishes specific measurable outcomes to monitor progress towards increasing LREC capabilities throughout the department. Achieving these goals will enable military and civilian personnel to successfully overcome language and culture barriers inherent to global missions. Click here to read the Implementation Plan for Language Skills, Regional Expertise, and Cultural Capabilities.